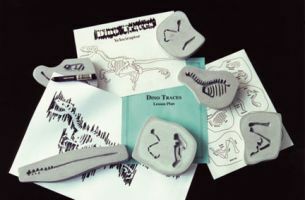 Investigate the fascinating world of paleontology - the study of fossils - with these kits. Three kits highlight a different dinosaur each, going into detail on their skeletal structure and lifestyles. Learn how paleontologists at a dig look for and study their own fossils, then try it out on the included materials! Tyrannosaurus Rex, Velociraptor, or Triceratops - or get all three for a huge dinosaur adventure!